Join us at the next 2018 Annual Meeting & Fall Conference in Washington, DC. New this year, the meeting is coupled with the Plastics Industry Fly-In on Capitol Hill. Now, more than ever, it is critical for our industry to come together and show our strength in plastics and in making a Better Industry. Better World. The Annual Meeting & Fall Conference includes Council Meetings, the FLiP Committee meeting, Fishbowls, an inspirational keynote, evening entertainment and the opportunity for the entire plastics supply chain to come together. Our next challenge is to begin to shift the conversation about plastics with your support. How do we support our industry? We need you to continue to tell inspiring stories about the positive impact of plastics. Thought-provoking fishbowl discussions with leaders in plastics addressing Tariffs and The Plastics Journey Starts With Us. Dinner with entertainment from the renowned musical political satire group, The Capitol Steps. Breakfast with keynote speaker Dustin Garis, a brand innovator who will share his extraordinary experiences and mind opening insights to help us transform the way we approach our business into the future. 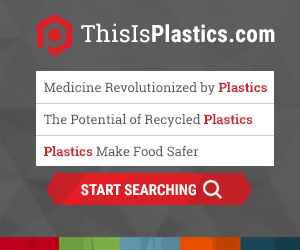 Get updates on all things PLASTICS. For more information, contact plastics@plasticsindustry.org. Join us for pertinent industry information and networking with key plastics professionals. Thank you to our sponsors. Find details and information about our sponsors here.